Don’t be surprised if carolers follow you around, serenading you with a beautiful rendition of ‘O Holy Night.’ You do look like a festive door, after all! 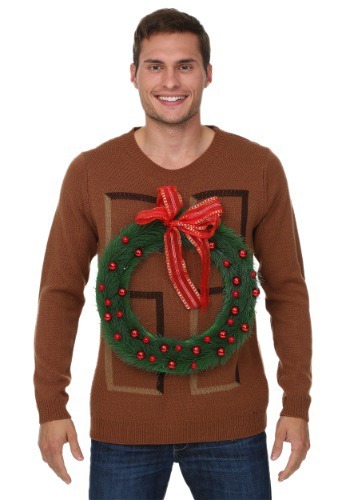 This Christmas Wreath Door Sweater is 3D so the wreath really pops. 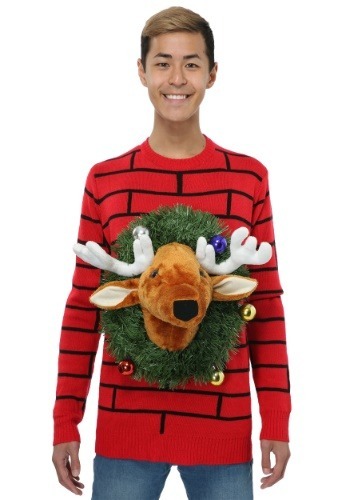 You could also get creative and hang some mistletoe from your sweater. You’ll be getting tons of Christmas kisses in no time! So get the eggnog out, pucker up, and request your favorite holiday tune to the carolers. You’re in for one memorable holiday season!.